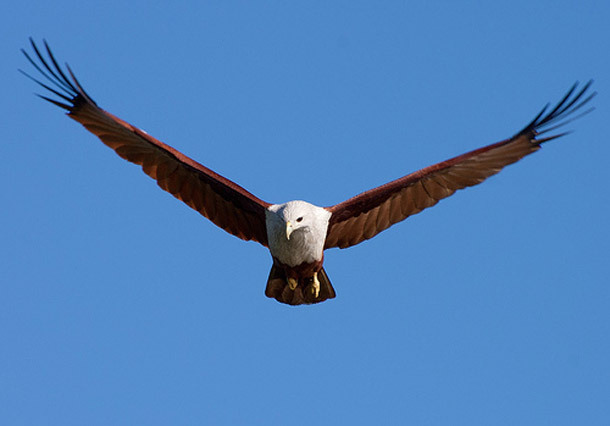 Brahminy Kite is also known as Singapore Bald Eagle or Red-backed Sea-eagle. These mid-sized birds are considered as bird of prey and they belong to Accipitridae family. 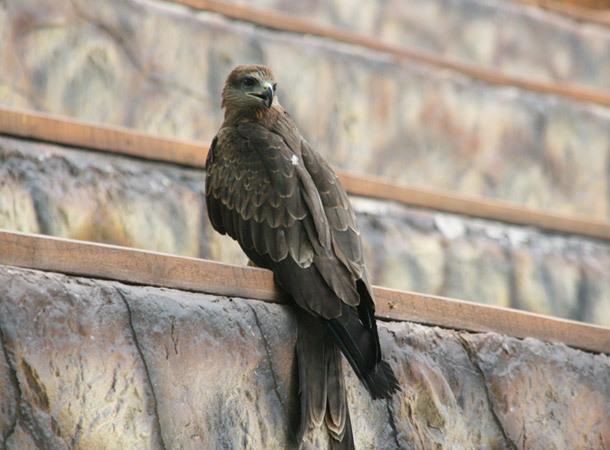 By the looks kites have dark brown chestnut plumage and white head. They have mewing scream whenever they are soaring. During mating Brahminy Kite often perform a thing called aerial acrobatics. Prey on the water are pulled out by strong talons, however these kites don’t cruise through in the water to hunt for the food. Brahminy Kites have extra fascination towards fires as they enjoy hunting species lingering around it. Generally, these kites rest together at coasts. Distributions: Brahminy Kites are found at wetlands & coasts mainly to hunt for fish and reptiles. Habitat: Majorly found in Australia, India and several other parts of Southeast. Diet: Diet largely consist species from marshland and wetlands such as fish, crabs, other times they hunt live prey such as hares and bats. Primarily Brahminy Kite is a scavenger, however occasionally hunts for fish, reptiles, and insects. Brahminy Kites dig food in garbage hence many a times they are found at harbors. Stealing food from similar species is one of Brahminy Kites usual routine. They usually don’t travel much and are sedentary by nature hence do not migrate. 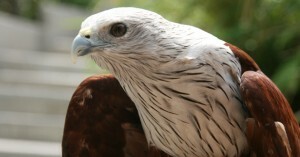 Khao Kheow Open Zoo has one of the most attractive Brahminy Kite in Bangkok. It has wide range of Brahminy Kites that are exhibited in Journey to the Jungle. This amazing place showcases several Brahminy Kites. Overall it’s a wonderful place to hang out and to have fun time with family.